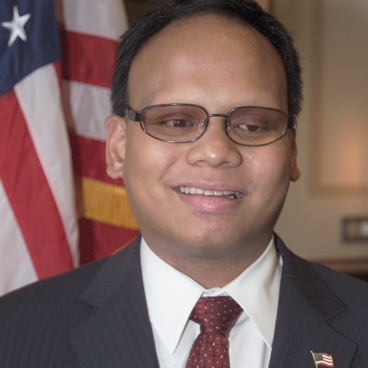 Ollie Cantos is a Filipino-American who has been blind since birth. Ollie was bullied as a boy, leaving him with no self-confidence. He rose to become the highest-ranking person with a disability in the United States federal government. Starting at age 20, Ollie became a leader at the local, state, and national level within the National Federation of the Blind. He became a civil rights attorney in Los Angeles and later moved to Washington, DC to become General Counsel and Director of Programs for American Association of People with Disabilities. Next, Ollie moved to the Civil Rights Division of the U.S. Department of Justice as Special Assistant and later Special Counsel to the Assistant Attorney General. Ollie was appointed for two terms as Associate Director of the Domestic Policy Council at the White House under President George W. Bush. Ollie subsequently returned to the Justice Department, accepting an appointment at age 37 to serve as Vice-Chairman of the President’s Committee for People with Intellectual Disabilities. Today, Ollie continues his public service as Special Assistant to the Assistant Secretary for Civil Rights at the U.S. Department of Education. Ollie has also been a Big Brother mentor, 3-time marathon finisher, business owner, non-profit board member, and member of the U.S. Coast Guard Auxiliary. He is the proud adoptive father of three blind triplet boys, who are now thriving adults. Garrett “G-Money” Holeve is a 28-year old athlete who competes in Mixed Martial Arts, Pro Wrestling and Fitness Competitions. 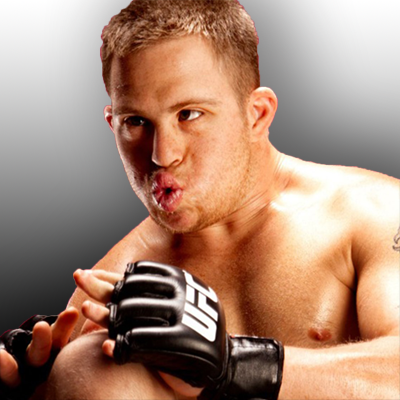 His accomplishments include being the first person with Down syndrome to have a sanctioned MMA bout. In 2014, Garrett was named the National Down Syndrome Society Self-Advocate of the year. He is a Certified Coach for Adaptive Athletes and has been featured by ESPN, The Guardian, and CrossFit. Garrett is the founder of Garrett’s Fight for Fitness, a foundation with a mission to turn disabilities into abilities by making needed modifications to training and finding ways to conquer limitations. The foundation promotes the integration of individuals with various disabilities into athletics by providing individualized coaching and adaptive training. Michael Beers has been performing as a stand-up comic for 12 years. He tells stories about his life growing up in Montana with his mother and three sisters, their dogs, and a disability. He also shares his thoughts about social and political topics of our day. Michael works within the disability community to develop leadership and self-advocacy among youth and adults with disabilities. Michael travels the country performing at clubs, schools, and conferences. He is the 2017 winner of the Montana Comedy Competition, the 2012 FunyFest talent search in Calgary, Alberta Canada, and several other comedy awards. Michael’s humor is surprising, full of insight, and good-natured, leaving his audiences feeling light-hearted with a new perspective on life. 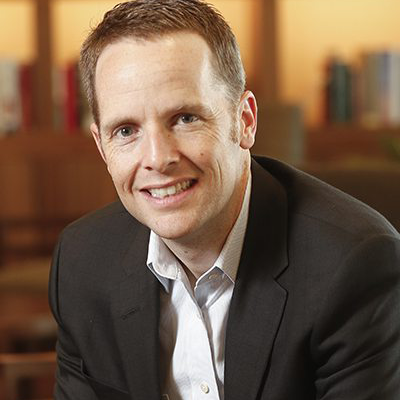 Ed O’Malley is the founding President and Chief Executive Officer of the Kansas Leadership Center. 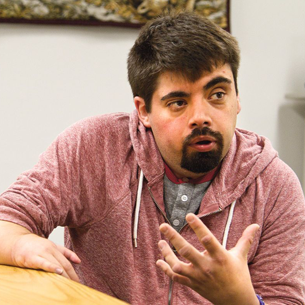 Formed in 2007, the center now works with over 2000 Kansans each year in leadership development trainings, which include people with disabilities. The KLC trained members of Self Advocate Coalition of Kansas (SACK) and the Heartland Self-advocacy Resource Network (HSRN) four-state leadership team. Before starting KLC, Ed served two terms in the Kansas legislature. Ed is the co-author of three books: For the Common Good: Redefining Civic Leadership, Your Leadership Edge: Lead Anytime, Anywhere and What’s Right With Kansas: Everyday Citizens Transforming Their State.